Companies spend millions of dollars on training and assessments to improve team performance but along the way often miss human nature. They don’t address an individual team member’s ability to “get it” and connect with their colleagues and become excited about multiplying their performance. From the office support staff and the finance department to sales and marketing, legal and distribution – they all need to understand how to work with people. 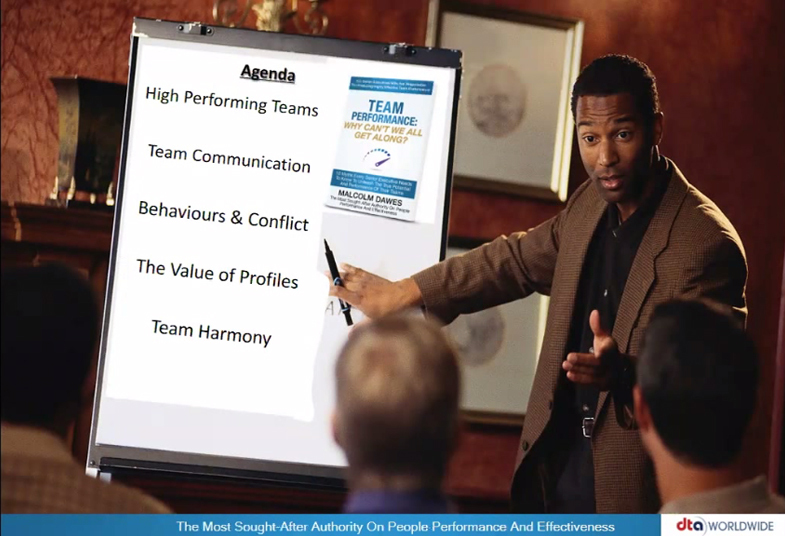 After all, if you can’t get on with people, how do you ever hope to have a high-performing team? Malcolm Dawes began his career in the public sector working as a nurse, moved to the corporate environment as an employee, and finally started his own private business. Malcolm’s warm and friendly approach with clients, combined with his ability to translate theory and research into practical examples and tips for his clients to follow, make him highly sought-after by companies looking to build successful teams. 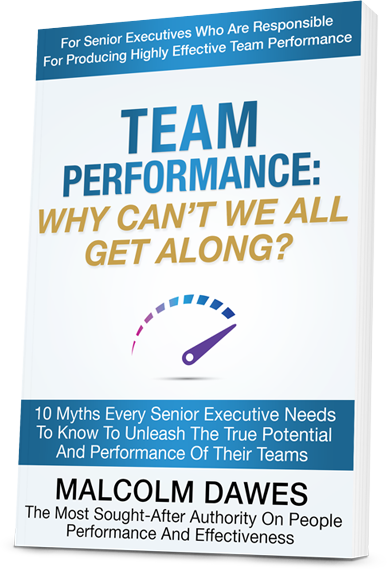 Want to LEARN 10 myths about team performance? Ready to COLLABORATE to build an EFFECTIVE team? I engaged Malcolm to support me in a new senior role responsible for a turnaround project. The project involved a department of 23 people including the leadership team reporting to me. Having been seconded from the USA there were multiple tasks and priorities to deal with. Malcolm was instrumental in facilitating the creation of a new purpose for the leadership team and department. This was further supported by a series of programmes which made the whole team very focused to delivering on their commitments. This was not only to their clients; equally importantly delivering on their commitments to each other. The environment changed from one of doubt and suspicion to collaborative and inclusive. I believe the new culture of leadership and feedback has caused a significant improvement in metrics; along with a new sense of trust and high performance. I have since recommended Malcolm’s approach to others and would repeat the exercise with any new project in the future. Malcolm is a great communicator who delivers content brilliantly with fun. He is a good guy who is interested in doing the best for the people he works with, whether that is the decision maker or the people he is training. He is highly professional, a great organiser and always positive and fun to work with. It’s all about what he can do for you. Malcolm’s StyleFLEX training course is the best interpersonal skills program that I have been on. While some programs spend time categorising people into personality types, his program identifies your strengths and weaknesses and, more importantly, what you can do to improve. It has been over a year since I attended his course and I still use the skills he taught me each day. Malcolm is also a very effective and engaging trainer and his programs are heaps of fun. Malcolm has been a key player in the development of our sales methodology, and must be credited with his contribution to making Kilimanjaro the number 1 sales partner of MYOB Enterprise Division, for 3 years in a row. His insight into dealing with different types of people has built a flexibility into our sales team that has improved results. Malcolm has worked in depth with our first line management team and has provided me with some excellent reporting and feedback that enabled me to move to the next level of progression in regards to their Management and Leadership styles. Malcolm assisted greatly in building a high performing team using his StyleFlex program and SalesFlex program. Malcolm is a consummate professional and expert facilitator. Malcolm & his StyleFlex programs helped to “glue” the team together. Many of the participants of the programs regard it as the best personal & professional development they have ever done, even years down the track. I have worked with Malcolm on several occasions and have found him to be very professional and personable to work with. He is an excellent facilitator – working well with both senior management and front line employee groups. He has demonstrated in depth knowledge of subject areas and used this knowledge effectively in design and delivery of training courses. I would not hesitate to work with Malcolm again in the future. Malcolm is an outstanding corporate trainer. He ran a 2 day workshop for the AMEA marketing team at Motorola. Malcolm helped focus the team on their key deliverables through some effective exercises. The learnings through that workshop have helped me both personally & professionally. Whether your business is telecommunications, computer software, disruptive technologies, insurance or employment services, all businesses have one thing in common – they need to understand how to work with people to achieve high performance. 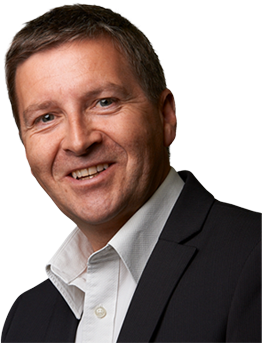 Countless times, Malcolm has witnessed senior executives wrestle with unlocking the true potential of their teams and understanding how behaviour is the key to team effectiveness. 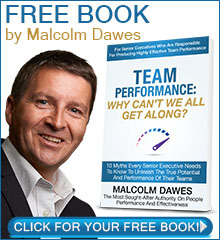 Now Malcolm dispels the myths to building highly successful teams in his insightful book, Team Performance: Why Can’t We All Get Along?